Shop our new series inspired by our travels to the USA! of San Francisco, New York, Manhattan, L.A., Griffith Observatory and Joshua Tree. A film-like preset inspired by the city of New York. Post process your images with this soft Lightroom Preset colors. The ultimate film emulation Lightroom Preset to post-process your images with a soft, hazy grain like they were shot on film. Capture the essence of 35mm film on your digital photographs with Disposable Film. Sign up to our newsletter to be the first to hear about discounts, our new products, competitions and more! 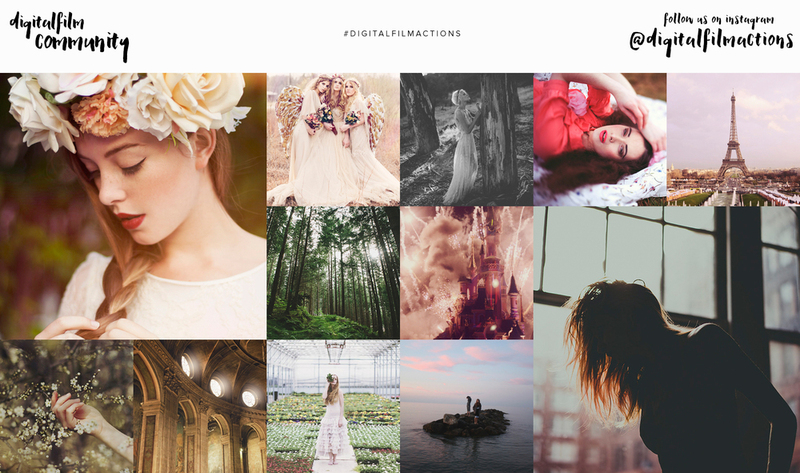 THE TAG #DIGITALFILMACTIONS + @DIGITALFILMACTIONS TO BE FEATURED! Visit our blog for photography, Lightroom and Photoshop tips, tutorials, videos, competitions, giveaways and more. Come back for new blog posts every Sunday and Wednesday! WHEN THINGS GO WRONG AT A PHOTOSHOOT. PHOTO EQUIPMENT FAILURE!